Electronic data interchange (EDI) provides an excellent context for examining how interoperability at the technological and data level can also produce profound effects at a higher, institutional level. Originally conceived as a means for speeding up the delivery of invoices and purchase orders by sending them electronically, EDI resulted in significant shifts with regard to retailer-supplier relations that went far beyond transaction efficiency. In tandem with the introduction of bar codes (the subject of another case study in our Interop series), which provided greater insight into sales trends, the use of EDI allowed retailers to automate their purchase orders, increasing inventory replenishment speed and redefining supply chain management; i.e., allowing the merging of Internet technology with JIT (just-in-time), a Japanese manufacturing management method that was developed in the 1970s. Retailers and suppliers who had previously guarded their sales and inventory information and made deals at arms-length, found that they had much to gain by radically integrating their operations and using EDI to share their inventory data immediately and automatically. One of the first and largest adopters of the merged EDI-JIT system were the three major U.S. automakers (GM, Ford, and Chrysler), in which they used electronic “mailboxes” to acquire information on production and non-production parts as well as to manage their order and requests electronically. Retailers such as Wal-Mart and Sears quickly followed suit, in which whenever a sale was made, that information was immediately transferred electronically so that the data could be used to update inventory, calculate sales and create other statistical reports. With the merger of EDI and JIT, purchase decisions were shifted to the suppliers themselves, who examined sales trends to provide retailers with the products they would need as soon as required, and not before. Not only was this approach more responsive to customer demand, it also reduced expensive inventory back stock and remaindering costs. Through a similar integration with shippers, warehousing costs were slashed as products were shipped directly from suppliers to retailers, without need for expensive storage. Over the past decade, EDI has been undergoing a significant shift, as some businesses and organizations (e.g. Lufhansa AirPlus) have started employing XML-based EDI (XML/EDI), with the promise of even greater flexibility and interoperability. However, adoption has been limited, and many of those who are using XML/EDI have implemented it in a less-than-fully interoperable manner. Additionally, support from major software companies, which appeared strong around the turn of the 21st century, has largely dissipated. As such, although the implementation of traditional EDI provides a good example of how private actors and third-party organizations can establish viable interoperable technology, the stalling of XML/EDI demonstrates that this approach is not always successful. Because the route to an established interoperable standard involves many nuances and complexities, one might argue that there may be a role for government when private actors appear unable to succeed on their own. However, this study, authored by Matthew Becker, concludes by noting that if this is indeed the case, the best approach may actually be a very light one, in which government involvement is limited to setting a general objective and a timeline, leaving the innovation and implementation to the private sector. In recent years, the growth of cloud computing has enabled users to utilize storage or processing power from geographically distant locations over the Internet. Cloud technologies have been lauded as a means for enhancing productivity, efficiency, and innovation by allowing on-demand network access to a shared pool of configurable networks, servers, applications, and services. According to a recent IBM study, the number of businesses adopting cloud computing to revamp existing business models will more than double by 2015, as business leaders are starting to view the cloud not just as a way to cut costs but also as a means for fundamental business innovation. Due to the growing ubiquity of cloud computing in the digital world, examining issues of cloud interoperability offers profound insights about the legal, public policy, and technological challenges faced by businesses and other institutions engaged in this field. Berkman student fellow Matthew Becker’s recent case study on the topic, developed as part of our ongoing series on interoperability, suggests that greater scientific and technological reform, balanced with salient consideration of legal and social factors (such as user behavior and expectations), is required for successful interoperability in cloud computing. Financial considerations can often drive small businesses “to the cloud.” Specifically, many businesses with underutilized IT departments have found cloud computing to be highly cost-effective. Simultaneously, on the end-user side, consumers have benefited from and enjoyed free or low-cost software from the cloud, which is becoming available on an increasing number of portable devices. As explored in the case study and our book Interop, there are two integral dimensions to cloud computing interoperability: the vertical dimension and the horizontal dimension. The vertical dimension involves interoperability of software, applications, and data within a single cloud. In other words, from the consumer’s perspective, does the cloud-based software work or can the cloud-based data be accessed on most Internet-enabled devices? Can this software or data integrate other applications or additional data that the user’s devices can access? The horizontal dimension of cloud computing interoperability involves the concept of interoperability between clouds. In other words, how easily can a business that has cloud-hosted software or data transfer to an alternative cloud provider? Among other considerations, consistencies in cloud computing contracts, security features, privacy shields, authentication management, are vital when discussing this horizontal dimension of cloud computing interoperability. One of the primary foreseeable difficulties with cloud computing in the modern era is the possibility of a firm or individual becoming “locked-in” to the use of the cloud provider or platform with which they started. Cloud computing interoperability promises many important societal benefits; better interoperability could facilitate much more efficient allocation of scarce computing resources, encourage greater device portability, allow increased access to computational power for small firms and developing countries, and decrease capital expenditures for such firms and nations. One such example is ULAP (University Learning Acceleration Platform), a cloud-computing infrastructure in the Philippines that is designed to help advance technological advancement in a developing country’s university program by taking advantage of open source virtualization technologies and cloud management platforms. Yet another successful example is Netflix, in which it owes its success to cloud computing by introducing on-demand streaming service based on cloud-based infrastructure. However, we must also be aware of the security, privacy, and international legal risks inherent in agreements to store data with and become reliant upon certain cloud providers. Because cloud computing is an increasingly important part of our digital existence, the potential implications of cloud computing interoperability are profound. Household Internet names such as Amazon, Facebook, Google, Microsoft, Oracle—to name a few—are all affected daily by changes in cloud computing, which in turn affect database technologies, social networking, virtualization, public policy responses, and more. Thus, cloud computing interoperability both plays a role in influential business decisions at the microeconomic level and at the level of government policies that build the foundation on which macroeconomic forces act. Our study concludes by reaffirming this idea as well as by contending that the future direction of cloud computing interoperability will profoundly affect technological innovation in ways that shape our society and our world. Imagine a mountain climber without a map. Rather than going downwards to return to town as might be sensible, he wants to find the highest point in the entire mountain range. But due to a blizzard, he cannot see very far; he can only tell whether a certain direction takes him higher or lower, and he has to stop every fifty yards or so to reevaluate and pick a new direction. We can imagine many things happening to this mountain climber. He might find a path to the very highest point on the range. But he easily might not. If he finds himself near the top of the second-highest peak, he will probably follow the path to the top of that peak. In fact, if he finds himself approaching any peak, he will probably follow the path up to the top of the peak, unless the blizzard clears and he can see that he is on a lower peak. If he can see where the higher peak is, he might go down far enough to get onto a path that takes him up the higher peak, and then go straight up. Alternately, he might be lazy. He might find himself somewhere that gives him a vantage point to see where the highest peak is, but decide that he does not want to expend the effort to go from his current vantage point to the highest peak. Good enough is good enough for him. This is an analogy for a fitness landscape. A fitness landscape is a way of picturing an optimization problem. A problem is analogized to a set of coordinates, with each coordinates having a certain fitness value; this builds up an imaginary, n-dimensional landscape. The goal, then, is to find the fittest point on the landscape, but limited sight range and unwillingness to invest to make big changes can get the search for maximum fitness stuck on a suboptimal or local peak. Our electrical grid is much like the mountain climber stuck on his suboptimal peak. If we had had the sight range to see the next generation of technology back when we built the grid, we would have taken a different path to build that technology in the first place. And big changes require costly investments of time, money, and political capital, all of which are scarce. Further, the path is not perfectly clear. Although we have every reason to believe that a revised electrical grid would pay off substantially, exactly what a revised grid should look like is an incredibly hard problem. This makes moving even harder. The next generation of the grid is the Smart Grid, a grid built up of intelligent, interoperable components. The Smart Grid comes from making individual grid components more self-aware of what they are doing at every moment. They can then be joined in networks that allow them to make better decisions about how each of them uses and transmits energy. Currently, a great deal of discussion and debate is taking place. Government regulators, members of industry, and other stakeholders are coming together to discuss what a new, interoperable grid should look like. They are working together to design a more efficient and responsive electrical grid. In essence, they are finding the path to the higher peak. Please check out the full case study on SSRN. 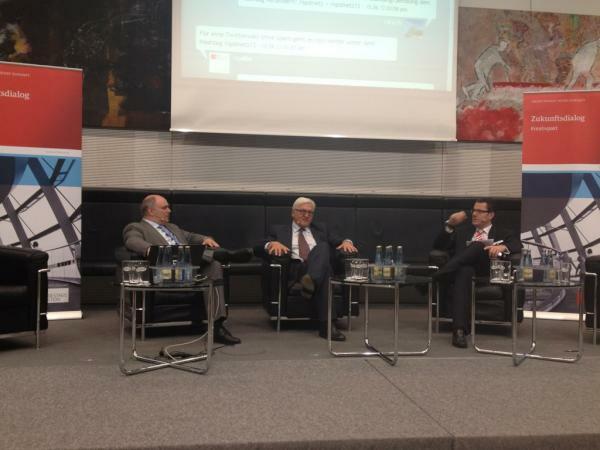 I had the pleasure to deliver a keynote last Friday in Berlin at the first Congress on Internet Policy organized by the German SPD-Bundestagsfraktion and discuss principles of good Internet policy making with Frank-Walter Steinmeier. Please find the manuscript of my speech below (in German). (1) Der erste Faktor betrifft unsere Bereitschaft und Fähigkeit, das Phänomen Internet und seine Auswirkungen auf die verschiedenen Gesellschaftsbereiche besser zu verstehen – oder genauer: verstehen zu lernen. Dabei geht es zunächst einmal um ein verbessertes Verständnis der Funktionsweise digitaler Technologien, aber auch um die Erforschung der humanen, organisationellen, und institutionellen Zusammenhänge. Dabei wird in Zukunft die Interoperabilität zwischen Forschung und Politik wesentlich zu erhöhen sein. Ich werde diese Herausforderung im Folgenden als die gemeinsame analytische Herausforderung in der Digitalgesellschaft bezeichnen. (2) Die mit dem Internet einhergehenden tektonischen Verschiebungen durchdringen fast alle Lebensbereiche. Ihre Komplexität wird zusätzlich gesteigert, indem sie mit anderen gesellschaftlichen Umwälzungen interagiert. Zu erwähnen sind insbesondere die Ausbildung eines netzwerkorientierten Individualismus und die globale mobile Revolution. Diese Veränderungsprozesse, die in einem neuen „gesellschaftlichen Betriebssystem“ resultieren, fordern nicht nur bestehende Normsysteme und damit Institutionen wie etwa das Recht heraus. Sie gehen auch mit einer Verschiebung der Bewertungsgrundlagen selbst einher. Zusammengenommen stehen wir als Individuen und als Kollektiv somit zweitens vor einem veritablen Bewertungsproblem, das die Kurz- und Langzeitfolgen des Internets anbelangt. (3) Der dritte Erfolgsfaktor betrifft den angemessenen, d.h. effektiven, effizienten und flexiblen Einsatz der vorhandenen Ressourcen, Ansätze und Strategien zur zukünftigen Gestaltung der Internet-basierten Gesellschaft. Diese Gestaltungsaufgabe beinhaltet auch eine Erweiterung unseres institutionellen Repertoirs, was den Umgang mit dem Internet-Phänomen betrifft. Die erfolgreiche Bewältigung dieser Aufgabe ist mit den genannten analytischen und normativen Ebenen eng verzahnt: Erfolgreiches Gestalten setzt Kenntnis der Materie sowie einen geeichten normativen Kompass voraus. Diese Erkenntnis ist keineswegs neu oder auf das Internet beschränkt, verdient aber gerade mit Blick auf kontroverse Regulierungsvorhaben der jüngeren Zeit eine Betonung. Im Folgenden will ich die drei genannten Erfolgsfaktoren im Sinne einer „Zwischenbilanz aus dem Maschinenraum“ anhand ausgewählter Beispiele näher erläutern und dabei auch einige Kernfragen für die nachfolgende Diskussion herauskristallisieren. Meine Beobachtungen basieren dabei auf meiner Tätigkeit in einem stark international und interdisziplinär ausgerichteten Forschungsumfeld rund um den Themenbereich „Internet und Gesellschaft“. Sie sind zudem von meinem persönlichen Interesse an Fragen der Informationsregulierung geprägt. Diese einführenden Gedanken sind im Verlaufe des Nachmittags selbstverständlich durch weitere und teilweise alternative Sichtweisen zu ergänzen und zu vertiefen. Wenden wir uns zunächst den Herausforderungen zu, was die Analyse des Internet-Phänomens und der damit verbundenen Chancen und Risiken für die Gesellschaft betrifft. Hier ist natürlich vorab die Wissenschaft gefordert, die sich beim digitalen Phänomen wie in anderen Forschungsbereichen der Gegenwart – von der effizienten Energienutzung bis hin zur Frage der Sanierung des Gesundheitswesens – mit einer ungeheuren Vielfalt von Fragen an der Schnittstelle von Technologie, Markt, Recht und sozialen Normen konfrontiert sieht. Lassen sie mich unter Bezugnahme auf eigene Forschungsarbeiten einige ausgewählte Charakteristika herausschälen, die für die analytischen Herausforderungen stellvertretend sind, denen wir uns stellen müssen. Zunächst ist die Erforschung des Internet-Phänomens darauf angewiesen, dass Wissensbestände und Methodologien aus verschiedenen Disziplinen zusammengeführt und in ihrem Zusammenspiel orchestriert werden. Am Berkman Center haben wir uns zum Beispiel vertieft mit den Chancen und Risiken befasst, die sich für Kinder und Jugendliche im Internet ergeben, und Interventionsmöglichkeiten erforscht. Eine solche Analyse setzt das Zusammenspiel von Experten aus den Erziehungswissenschaften und der Psychologie ebenso voraus wie den Beizug von Neurowissenschaften, Ökonomen, Juristen und Ethnographen. Dabei ist der Einbezug von Kindern und Jugendlichen sowie deren Eltern ebenfalls wichtig, etwa was die Formulierung der Forschungsfragen betrifft. Weiter ist das Internet bekanntlich ein globales Informations- und Kommunikationsmedium. Internetforschung hat vor diesem Hintergrund internationale Gesichtspunkte und Implikationen in vielen Bereichen mindestens zu berücksichtigen. In einem Projekt befassen wir uns derzeit beispielsweise mit Fragen des rechtlichen und regulatorischen Umgangs mit Cloud Computing als zukünftige Kerninfrastruktur unserer Informationsgesellschaft, die hohe Effizienzgewinne und Wirtschaftswachstum verspricht. Wir untersuchen unter anderem, inwiefern die Realisierung der wirtschaftlichen Vorteile eine Harmonisierung der Datenschutzanforderungen voraussetzt. Solche Projekte können nur in internationalen Forschungsnetzwerken bewältigt werden, die sich in diesem Bereich indes erst im Aufbau befinden. Ein weiteres Merkmal der Internetforschung besteht darin, dass uns Forschenden eine Unmenge von Daten zur Auswertung zur Verfügung steht; „big data“ ist in aller Munde. Denn bekanntlich hinterlässt fast jeder Klick einen digitalen Fingerabdruck, was die detaillierte Analyse etwa von Kommunikationsbeziehungen und Informationsflüssen möglich macht. Diese massiven Datensets sind indes nicht ohne weiteres fruchtbar zu machen. Die Entwicklung eines neuen „Mikroskops“ für die sozialwissenschaftliche Forschung, das den Fluss von Themen und Traktanden im Internet und über seine Grenzen hinaus empirisch messen lässt, hat uns beispielsweise fast eine Dekade gekostet. Darüber hinaus bestehen erhebliche datenschutzrechtliche Bedenken, was den forscherischen Umgang mit grossen Datensets (etwa unter Zugriff auf soziale Netzwerke) betrifft. So lassen sich etwa in grossen Datensets die bisher gebräuchlichen Anonymisierungstechniken durch Algorithmen rückgängig machen. Grosse Herausforderungen bestehen aber im Bereich der Internetforschung nicht nur auf der methodischen, sondern auch auf der theoretischen Ebene. Wiederum mag ein Beispiel aus dem eigenen Forschungsalltag der Illustration dienen. Seit einigen Jahren befassen wir uns mit der Frage, wie es um die Qualität der Information bestellt ist, wenn wir von einer analogen auf eine digitale Informationswelt umstellen. Welche Folgen hat es, wenn traditionelle Qualitätsinstanzen wie beispielsweise Redaktionen an Bedeutung verlieren und heute jedermann Inhalte produzieren und verteilen kann (Stichwort: Wikipedia), aber auch neue und weitgehend unregulierte Informationsintermediäre wie beispielsweise YouTube die Arena betreten? Diese qualitätsrelevanten strukturellen Veränderungen erfordern eine Erweiterung des alten Konzepts der „credibility“ aus den 40er und 50er-Jahren hin zu einem stärker prozessorientierten Framework der Informationsqualität, das auch das Phänomen nutzergenerierte Inhalte integriert. Eine letzte hervorhebungswürdige analytische Herausforderung besteht darin, dass das Internet als Studienobjekt ein bewegliches Ziel ist. Die heute verfügbaren Daten hinken der rasanten Entwicklung der Technologie und der Nutzungsgewohnheiten in wichtigen Bereichen hinterher. Erst allmählich haben wir etwa verlässliche Erkenntnisse zu bestimmten Aspekten der Facebook-Nutzung. Wie erinnerlich hat Facebook heute über 900 Millionen Nutzer, war aber vor 10 Jahren noch nicht einmal geboren. Die Forschung teilt hier das Schicksal der Gesetzgebung. Sie muss die Eigenzeit mit den kürzeren Einheiten der Internet-Zeitrechnung synchronisieren. Wie bereits erwähnt, ist es primär Aufgabe der Forschung, diese Herausforderungen inhaltlich, aber auch institutionell zu bewältigen und damit ein vertieftes Verständnis des Internet-Phänomens zu ermöglichen. Gleichzeitig bestehen aber zumindest in zweierlei Hinsicht wichtige Berührungspunkte zum bildungspolitischen System. Zum einen ist die erfolgreiche Erforschung der Bedingungen und Folgen der digitalen Revolution von der Bereitstellung von finanziellen und personellen Ressourcen abhängig. Dazu gehört eine Modernisierung der Forschungsumgebung und Forschungskultur – namentlich in der Zuwendung hin zu einer echten interdisziplinären Forschung. Ein Blick auf die europäische und mithin deutsche Forschungslandschaft zeigt, dass wir hier noch einen langen Weg gehen müssen, trotz Ausnahmen wie etwa dem neu gegründeten, von privater Seite initiierten und anschubfinanzierten „Alexander von Humboldt Institut für Internet und Gesellschaft“ in Berlin. Zum andern bedarf der Wissenstransfer zwischen Forschung und Politik der Ausbildung von durchlässigen Schnittstellen. Nötig ist dabei insbesondere auch die Bereitschaft von Politikerinnen und Politikern, sich mit den oft nuancierten und auf den ersten Blick wenig attraktiven Forschungsergebnissen systematisch auseinanderzusetzen und diese auf ihre gesellschaftliche Relevanz abzufragen. Sachgerechte Internet-Politik ist vital auf die vertiefte Zuwendung zur datengeleiteten Problemanalyse angewiesen. Diese steht oftmals in scharfer Konkurrenz zu den kurzfristigen Anreizen einer Headline-orientierten und umfragegetriebenen politischen Realität. Dabei muss im Sinne der „übersetzenden Forschung“ (sog. „translational research“) nicht nur klar und verständlich kommuniziert werden, was wir wissen, sondern auch, wo Wissenslücken bestehen oder welche wissenschaftlichen Analysen erst auf dem Wege sind. Gerade in Übergangsphasen sind wir angesichts dieses Halbwissens der Gefahr der Mythenbildung ausgesetzt. So hält sich etwa die Vorstellung hartnäckig, dass junge Internetnutzerinnen und –nutzer jeglichen Sinn von Privatsphäre verloren haben. Dagegen belegen jüngste Forschungsergebnisse, dass es sich um differenzierte Verschiebungen in der Erwartung der Reichweite von offengelegten persönlichen Informationen handelt. Oder es wird der Mythos verbreitet, die intensive Internetnutzung mache uns zu Einsiedlern, obwohl das vorhandene Datenmaterial zeigt, dass gerade intensive Internetnutzer auch mehr Freunde und Sozialkontakte offline pflegen – mit Ausnahme von Extremspielern. Als Zwischenfazit legen diese Betrachtungen zu den analytischen Herausforderungen im Umgang mit den Chancen und Risiken der Digitalgesellschaft nahe, dass wir sowohl als Forschende wie auch als Teilnehmer am politischen System unter Ungewissheits- und Komplexitätsbedingungen operieren müssen. Nicht nur das Politikerwissen, sondern auch das Expertenwissen steht im Bereich der Internetforschung eher am Anfang als am Ende der Geschichte. Dies trotz wichtiger Erkenntnisfortschritte in den letzten Jahren. Wenden wir uns den normativen Herausforderungen im gesellschaftspolitischen Umgang mit der digitalen Technologie zu. Ausgangspunkt bildet die Beobachtung, dass das Internet strukturelle Veränderungen im informationellen Ökosystem auslöst, die typischerweise „störenden“ Charakter haben. So bedrohen die Veränderungen hinsichtlich der Herstellung und Verbreitung sowie des Zugangs und der Nutzung von Information zum Beispiel viele tradierte Geschäftsmodelle. Überdies fordern sie angestammte institutionelle Arrangements massiv heraus – man denke etwa an das Urheberrecht oder den Datenschutz. In diesem Sinne ist das Medium „Internet“ im Blick auf seine Folgen wohl nicht deterministisch, aber eben auch keineswegs neutral. Vielmehr trägt es einen „bias“ in seiner DNA, wer mit wem unter welchen Bedingungen und unter wessen Kontrolle über welche Kanäle kommunizieren kann. Die mit diesen Veränderungen einhergehenden Chancen und Risiken sind im Einzelnen oft sehr schwierig zu bewerten. Wiederum mögen einige Beispiele aus der Forschung am Berkman Center die normativen Komplikationen illustrieren. Wir haben uns beispielsweise in der vergangenen Dekade mit den tiefgreifenden Umwälzungen in der Unterhaltungsgüterindustrie befasst. Aus der Sicht der angestammten Musik- und Filmindustrie wird das Internet, – wen erstaunt es, – dabei mehrheitlich als Bedrohung wahrgenommen. In der Tat hat die weitverbreitete Nutzung von Peer-to-Peer-Tauschbörsen – notabene popularisiert durch die Programmierkünste eines College Studenten – zu Beginn dieses Jahrhunderts zum de-facto-Zusammenbruch des traditionellen Geschäftsmodells der Musikbranche geführt und Wesentliches zur Fundamentalkrise des Urheberrechts beigetragen. Aus der Perspektive innovativer Unternehmen wie Apple oder Netflix, aber etwa auch innovativer Künstlerinnen und Künstler stehen heute indes vor allem die Möglichkeiten im Vordergrund, welche die digitale Revolution im Musik- und Filmbereich eröffnet haben. Hier scheint sich die Geschichte zu wiederholen: Bereits bei der Einführung der Video-Kassettengeräte hat die Urheberrechtsindustrie ihren Untergang beklagt, während sich wenig später aus dieser Bedrohung mit dem Verleih von Videos eine der Haupteinnahmequellen der Branche entwickelt hat. Die normative Beurteilung der Effekte des Internets ist indes nicht nur von der Perspektive und jeweiligen Interessenlage der Betroffenen abhängig. Diese verändert sich, wie im eben genannten Beispiel, typischerweise im Verlaufe der Zeit. Die Bewertung wird dadurch erschwert, dass Chancen und Gefahren in fast allen digitalen Lebensbereichen durchmischt und oft nur schwer voneinander zu trennen sind. Digitale Technologie hat beispielsweise unsere Arbeit in mancherlei Hinsicht effizienter oder zumindest interessanter gemacht. Gleichzeitig bringt der Siegeszug des Digitalen im Arbeitsalltag auch ernsthafte Probleme mit sich. Man denke nur an die Gefahr des Leckschlagens vertraulicher Informationen, die weitreichende Überwachung der Arbeitnehmerinnen und Arbeitnehmer, oder die ständige Erreichbarkeit mit negativen psychischen Folgen. Diese typische Gemengenlage betreffend Risiken und Chancen macht das Abwägen zwischen Vor- und Nachteilen des Internets oftmals zur Glaubenssache. Um ein Beispiel aus meiner Heimat zu nennen: Der Schweizer Gesetzgeber hat aus relativ abstrakten Risikoüberlegungen und trotz einer ganzen Reihe von erfolgreichen Testläufen in Kantonen auf die flächendeckende Einführung des E-Votings bisher verzichtet. Über dieses Beispiel hinaus bestehen heute weiterhin Bewertungsunsicherheiten, was den Einsatz des Internets in der politischen Kommunikation betrifft. Wirkt sich dieser längerfristig partizipationsfördernd aus? Was ist mit der Qualität und Nachhaltigkeit der Entscheide in einer Internet-basierten „liquid democracy“? Diese und andere schwierige Bewertungsfragen harren der Klärung. Trotz normativen Unsicherheiten ist klar, dass sich die grossen gesellschaftlichen Probleme der Gegenwart ohne Internet-basierte Technologien nicht lösen lassen. Ob effizienzsteigernder IT-Einsatz im Gesundheitswesen oder das Smart Grid im Energiebereich, das Internet ist bereits zur kritischen Infrastruktur geworden. Entsprechend erfolgt die Abwägung von Risiken und Chancen derzeit oft ad hoc und im Nachhinein. Unsere Forschung zur Interoperabilität zeigt indes die Gefahren eines solchen Ansatzes auf. Sind komplexe Systeme einmal hochvernetzt, aber hinsichtlich ihres Zusammenspiels nicht optimal justiert – etwa durch den bewussten Einbau auch von „digitalen Wellenbrechern“ –, wird es sehr schwierig, einen optimalen Grad an Vernetzung nachträglich herbeizuführen, der zum Beispiel datenschutzrechtliche oder Sicherheitsbedenken angemessen berücksichtigt. Unsere Empfehlung geht dahin, bereits beim Design solcher Systeme verschiedene Szenarien durchzuspielen und anhand von Wertungsgesichtspunkten wie z.B. „Innovation“, „Nutzerautonomie“ oder „Systemdiversität“ zu bewerten. Dabei kommt es regelmässig zu schwierigen „Value Tradeoffs“ oder Zielkonflikten, die nur normativ bewältigt werden können. So mögen digitale Strategien der Vernetzung beispielsweise enorme Effizienzsteigerungen bringen – man denke an digitale Patientendossiers –, anderseits aber auch die Risiken hinsichtlich sensitiver Daten erhöhen. Dies sind die unerwünschten Nebenwirkungen von Interoperabilität. Immerhin sind solche Probleme keineswegs neu, obwohl das Internet angesichts der genannten Bewertungsunsicherheiten die Zielkonflikte wahrscheinlich noch akzentuiert. Ein weiterer Aspekt kommt hinzu. Das Internet scheint zumindest bereichsweise zu einer Verschiebung der Bewertungsgrundlagen, d.h. der Wertmassstäbe und Wertungen selbst zu führen. Dies erschwert den gesellschaftlichen Umgang mit Risiken und Gefahren zusätzlich. Die Proteste gegen das ACTA-Abkommen hier in Europa, oder die Mobilisierung gegen die Gesetzesentwürfe SOPA/PIPA zum Schutze des geistigen Eigentums in den USA sind lediglich die gut sichtbaren Spitzen des Eisbergs dessen, was Kollege Beckedahl als „Sollbruchstelle“ bezeichnet. In der Tat haben das Internet und die darauf aufgesetzten Angebote die Normen rund um den Austausch von Informationen verändert. Das Teilen – und damit aufgrund der Funktionsweise der Technologie das Kopieren – von Information ist in der Architektur des Internets angelegt. Bewusste Designentscheide wichtiger Plattformanbieter wie Twitter, Google, oder Facebook verstärken diese Eigenschaft im Sinne eines „Charismatic Code“. Von dieser normativ aufgeladenen, auf Austausch gerichteten digitalen Logik bleiben auch Sonderkategorien von Informationen wie etwa das Geheimnis oder urheberrechtlich geschützte Inhalte bekanntlich nicht verschont. Namentlich für das Rechtssystem stellen sich angesichts sich wandelnder sozialer Normen heikle Bewertungsfragen. Wann und unter welchen Bedingungen sollen sich rechtliche Institutionen – wie etwa das Urheberrecht – den neuen Realitäten des digitalen Zeitalters anpassen? Und in welche Richtung? Es wäre m.E. voreilig, von einem Primat digitaler Erwartungserwartungen über das Recht auszugehen. Das Recht wird zwar belächelt, weil es der Technologie oft zwei Schritte hinterher hinkt; aber letztlich hat es eben eine wichtige Funktion der Verlangsamung gesellschaftlichen Wandels, um Diskussionsräume und -zeiten zu schaffen. Hinzu kommt im genannten Beispiel, dass sich die Bedeutung der geistigen Schöpfung im digitalen Raum nicht auflöst, sondern wandelt. Untersuchungen mit Kindern belegen etwa, dass diese nur bereit sind, Inhalte mit anderen Digital Natives auszutauschen, wenn ihre Urheberschaft anerkannt wird. Wiederum bedarf es also eines differenzierten Blicks auf diejenigen sozialen Normen der Internetnutzer, die unsere rechtlichen Institutionen herauszufordern scheinen. Als zweites Zwischenergebnis will ich festhalten, dass die bereits diagnostizierten analytischen Herausforderungen im Umgang mit den digitalen Chancen und Risiken durch die hier nur grob skizzierten Bewertungsprobleme extrapoliert werden. Die Politik im Allgemeinen und die Gesetzgebung im Besonderen haben die wenig beneidenswerte Aufgabe, mit den vom Internet ausgehenden Schockwellen trotz dieser faktischen und normativen Unsicherheiten angemessen umzugehen. Und das heisst auch: die Phasen der Ungewissheit auszuhalten. Dies führt mich zum letzten Teil meines Vortrags: der Gestaltungsherausforderung. Lassen Sie mich gleich zu Beginn festhalten, dass meine Einschätzung der Einflusschancen von Politik und Gesetzgebung auf die zukünftige Gestaltung des Internets anders ausfällt als das Urteil vieler meiner Kollegen. Wiewohl natürlich die eingangs skizzierte Architektur des digitalen Raumes Rechtssetzung und Rechtsdurchsetzung in vielerlei Hinsicht erschwert, ist das Medium „Internet“ selbst ganz wesentlich von Politikentscheidungen mitgeprägt und durchdrungen. In vielerlei Hinsicht waren es gerade Politik und Gesetzgebung, die das Internet sowohl im technischen Sinne als auch als sozialen und kommerziellen Raum ermöglicht haben. Nicht nur waren Politikentscheide Ende der 50er-Jahre nötig, um die Mittel für die Entwicklung der Vorläufer des Internets bereitzustellen. Es waren auch politische Entscheide dafür verantwortlich, dass in den frühen 90er-Jahren die damalige NSFnet Backbone für den kommerziellen Datenverkehr überhaupt geöffnet wurde. Gesetzgebungen wie etwa die Europäische E-Commerce Richtlinie oder der amerikanische Communications Decency Act mit ihren „Safe Harbor“ Vorschriften zum Schutz von Internet Service Providern waren entscheidend mitverantwortlich für das Entstehen des heutigen Ökosystems. Die online Dienste, die wir mit grosser Selbstverständlichkeit benutzen – von Google, Hotmail, über Facebook zu YouTube – wären ohne das Vorhandensein von Recht nicht denkbar. Die Reihe von Beispielen liesse sich fortsetzen. Aus der Vergangenheit lässt sich für die Zukunft lernen, auch in der Netzpolitik als Teil der Gesellschaftsgestaltung. Gleichzeitig ist klar, dass die heutigen Gestaltungsherausforderungen längst nicht mehr binär (Regulierung ja/nein, Schutz ja/nein), sondern vor dem Hintergrund der geschilderten phänomenologischen und normativen Ausgangsbedingen äussert komplex sind – vom Kampf gegen die Kinderpornographie angefangen bis hin zur Erarbeitung eines zukunftstragenden Datenschutz- und Cybersecurity-Konzepts. Im Kern geht es dabei um die grosse Frage, wie wir als Gesellschaft die Chancen der digitalen Technologien strategisch fördern, nutzen und langfristig absichern, und dabei mit den vieldiskutierten Risiken angemessen umgehen bzw. diese auf ein erträgliches Mass reduzieren. Bei der Bearbeitung dieser schwierigen Aufgabe kann es hilfreich sein, drei Dimensionen guter Internetpolitik zu unterscheiden, die in ihrem Zusammenspiel auch die Frage der Legitimation von Gestaltungsentscheiden und die Verantwortung für ihre Folgen betreffen. Angesichts der Ungewissheits- und Komplexitätsbedingungen stehen wir als Entscheidträger zunächst vor dem grossen Problem, aus einer Vielzahl von Planungsvarianten und normativen Szenarien die sachlich angemessene Lösung zu wählen – sei es im Kontext von E-Government und Cloud Computing, der Erneuerung des Datenschutzregimes, oder bei der weiteren Ausgestaltung des Schutzes des geistigen Eigentums im digitalen Umfeld. „Wenn der Gesetzgeber mangels Sachkenntnis oder aufgrund einer fehlerhaften Prognose eine Regelung erlässt, die ihren Zweck nicht erfüllt, nützt die demokratische Legitimation nichts, im Gegenteil: Das demokratische System wird unglaubwürdig“. „Der Erlass unwirksamer Anordnungen untergräbt … das Vertrauen in die Institutionen der Demokratie“. Den Ruf nach hinreichender Sachkenntnis zu erfüllen, die alsdann in wirksame Massnahmen übersetzt werden kann, ist gerade im Bereich der Internetpolitik kein leichtes Spiel. Wie eingangs dargestellt, ist dabei auch der in solchen Situationen beinahe reflexartige Beizug von Experten – etwa im Rahmen einer Enquette Kommission wie hier in Deutschland – wohl sinnvoll und hilfreich, aber angesichts beschränkten Expertenwissens kein Erfolgsgarant. Vielmehr ist, und ich werde diesen Punkt ganz am Ende nochmals kurz aufgreifen, das gesamte Gestaltungssystem, inklusive Recht, auf Lernfähigkeit zu programmieren. Im Zitat von Prof. Müller ist es bereits angeklungen: Die inhaltliche Output-Qualität unserer Netzpolitik hängt mithin von der Wahl geeigneter Instrumente ab. Dies ist die zweite Dimension der Gestaltungsherausforderung. Hier liegt meiner Auffassung nach hinsichtlich des guten Umgangs mit der Digitalgesellschaft vielleicht das grösste Potential verborgen. Wir müssen dringend unseren „Werkzeugkasten“ überdenken und gegebenenfalls neu bestücken, um die Instrumente besser auf die skizzierten Realbedingungen des digitalen Phänomens einzustellen. Dies betrifft zunächst einmal die Erweiterung des gesetzgeberischen Repertoirs. Es ist beispielsweise erstaunlich, wie beliebt in der Internet-Gesetzgebung beidseits des Atlantiks der Gebrauch des altgedienten, aber im Internet-Kontext erfahrungsgemäss wenig griffigen Instrument des „Verbots“ noch immer ist. Geplante oder eingeführte Verbote von Killerspielen oder das in den USA beliebte Verbot der Facebook-Nutzung in Schulen sind nur zwei Beispiele aus einer langen Liste von Internet-Verboten. Um klarzustellen: In manchen Bereichen, wie etwa bei brutalen Killerspielen, mögen Verbote zumindest im Sinne der symbolischen Gesetzgebung einen Wert haben, d.h. als Ausdruck der gesellschaftlichen Missbilligung bestimmter Handlungsweisen oder Anwendungen. Solche Signalwerte sind gerade in Zeiten der beschriebenen Bewertungsunsicherheit nicht unerheblich. Aber der Beitrag zur effektiven Problemlösung bleibt bei solchen Verboten oft sehr beschränkt. Unser Instrumentarium ist allerdings über die Regulierungstechnik hinaus, d.h. auch im grösseren institutionellen Zusammenhang zu erweitern. In vielen Bereichen bedarf der gewinnbringende Umgang mit den digitalen Chancen und Risiken des Zusammenwirkens verschiedner Akteure. Ich habe die Forschung zur Internetnutzung von Kindern und Jugendlichen als Beispiel bereits erwähnt. Dort sehen wir deutlich, wie die Heranwachsenden selbst, ihre Eltern, Lehrer, Freunde, aber auch Technologieanbieter und der Staat Hand in Hand arbeiten müssen, um das enorme Potential des Internets etwa für die Ausbildung und das Lernen zu nutzen und Teilhabelücken zu schliessen. Gleiches gilt für die effektive und nachhaltige Bewältigung der Gefahren wie beispielsweise Cyberbullying, Spielsucht, oder Verletzung der Privatsphäre. Es ist ermutigend zu sehen, dass die Wichtigkeit dieses Zusammenspiels der Akteure auch in der Internetpolitik erkannt ist und Eingang in entsprechende Positionspapiere gefunden hat. In einem nächsten Schritt müssen wir aber auch die entsprechenden institutionellen Arrangements erarbeiten – und absichern. Neue Modelle wie die auch hierzulande und in diesem Bereich beliebte Co-Regulierung können den Weg weisen, sind aber etwa hinsichtlich Legitimierung und Partizipation durchaus erweiterungs- und verbesserungsfähig. Der dritte und letzte Aspekt, den ich im Rahmen der Gestaltungsherausforderung aufgreifen möchte, betrifft die Prozesse, in denen wir unsere internetbezogenen Wertfragen verhandeln, Gestaltungsziele diskutieren sowie die Wahl der Mittel definieren. Hier ist zunächst festzuhalten, dass das Internet zu einem ungeheuren Transparenzdruck beigetragen hat. Wiewohl es m.E. geschützter Räume gerade auch im politischen Bereich bedarf, in denen Szenarien durchgespielt und Lösungsvarianten ohne Angst vor negativen Schlagzeilen diskutiert werden können, ist die Absicherung solcher Räume heute praktisch chancenlos. Wikileaks oder die „geleakten“ Berichte aus dem Oval Office zu Präsident Obama’s streng geheimen Cyberwar-Massnahmen sind nur zwei Beispiele. Angesichts des Regulierungsobjekts „Internet“ und der davon betroffenen Akteure müssen wir uns aller Voraussicht nach auf voll transparente Verfahren einstellen. Geheimverhandlungen à la ACTA werden von der diffus und ad hoc definierten, aber zunehmend strategisch operierenden Internet-Community jedenfalls nicht mehr akzeptiert. Eng mit dem Transparenzerfordernis verbunden ist die Frage der Mitwirkung an gestalterischen Entscheiden, die das Internet betreffen. Auch hier besteht Innovationsbedarf, was unsere angestammten Institutionen betrifft – gerade auch, um den eingangs genannten internationalen Dimensionen Rechnung zu tragen. Dass die Debatten heute nicht mehr nur national geführt werden können, sehen wir nicht nur, wenn es um globale Regulierungsvorhaben etwa im Rahmen der ITU oder der WIPO geht – oder hier in Deutschland um die Umsetzung bzw. Nichtumsetzung der Richtlinie über die Vorratsdatenspeicherung. Der Bedarf nach neuen Formen der Mitwirkung ist auch dort deutlich erkennbar, wo die Spielregeln des Internets uni- oder bilateral durch private Akteure gesetzt werden, wie etwa das inzwischen gescheiterte „Google Book Settlement“ und Reaktionen darauf illustrieren. Natürlich ist es naheliegend, gerade hinsichtlich der Frage nach neuen Formen der Teilhabe das Internet selbst fruchtbar zu machen. Interessante institutionelle Versuche wie e-Rulemaking und e-Budgeting sind im Gange, wobei in Europa wahrscheinlich Estland diesbezüglich das grösste und bisher erfolgreichste digitale Laboratorium darstellt. Brasilien und die USA sind weitere interessante Fallstudien in diesem Bereich. Vielleicht noch interessanter als der Einbau solcher digitaler Kanäle in bestehende institutionelle Set-ups sind neuartige hybride Organisationen wie etwa ICANN oder das Internet Governance Forum (IGF). Die Beurteilung der Leistung dieser neuartigen Institutionen bleibt allerdings weiterhin umstritten. Meines Erachtens wird deren Potential und Bedeutung aus der Optik der institutionellen Innovation allerdings gemeinhin unterschätzt. Postulat 1: Gute Internetpolitik gebietet es, an der Generierung von Wissen über das Internet-Phänomen teilzuhaben und dieses Wissen auszutauschen. Postulat 2: Vor regulatorischen Eingriffen sollte Klarheit herrschen, was wir wissen und was nicht. Vor allem im Bereich des Handelns unter Nichtwissen sind die Entscheide und Instrumente auf Lernfähigkeit einzustellen, d.h. auch revidierbar zu halten. Postulat 3: Gute Internetpolitik vermeidet oder reduziert zumindest die Gefahr, die Generativität des Internet als Prinzip nachhaltig zu verletzen, und bewahrt damit seine Innovationskraft. Postulat 4: Muss unter analytischer und normativer Unsicherheit entschieden werden (was auch den Entscheid des Nicht-Handelns beinhalten kann), sind Entscheidvarianten zu bevorzugen, die auf Interoperabilität angelegt sind und Möglichkeitsräume für zukünftige Entscheide offen halten. John Palfrey and I have a new book out: Interop: The Promise and Perils of Highly Interconnected Systems. The book is part of a larger research initiative at the Berkman Center with focus on interoperability – or the art and science of working together. It synthesizes six years of research and builds upon previous work, including a white paper and a series of case studies written with the help of a fantastic team of student researchers, which we will release over the next few weeks. For a preview, check out our SSRN series. I care deeply about this book, and even more so than about previous things I have written. I believe that the questions addressed in Interop are fundamental in nature as we are trying to build a better world. At its core, the book tells the story of an increasingly interconnected digital society and explores how much interconnectivity we need among systems and their components to solve the biggest challenges we face in today’s society – from the health care crisis to global warming. Importantly, we do not argue in favor of unlimited interoperability. While we have evidence that interop is generally a sound public policy goal as it usually drives innovation (with important caveats) and economic growth, makes systems more efficient, and increases user autonomy, we acknowledge important downsides and costs of interconnectedness. The book is an attempt to build a theory of interoperability, by weaving together a rich set of case studies, that provides initial insight in how we can design optimum levels of interconnectedness. And indeed, the question of appropriate speed-bumps and “digital breakwaters” is among the most pressing and difficult issues we need to address. As pointed out in the Nature review of Interop, we still have a long way to go to provide final answers to this set of hard questions. But we hope that the book introduces a helpful analytical framework and offers key normative considerations as we work together towards optimum levels of interconnectedness not only among technological systems and databases, but also among human beings and institutions. If you are interested in learning more about interop, please check out our online resources with more materials to be added over the next few weeks and months. The book can be ordered via your preferred bookstore, and the video and recap from the Harvard book launch is available online here. Conversations between teachers and parents in cases of under-performance of school children due to excessive media usage. I just got back from a conference on “Legal Institutions and Entrepreneurship” at Stanford, organized by the Gruter Institute for Law and Behavioral Science and the Kauffman Foundation. 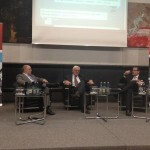 Experts from various disciplines, including biology, neuro-economics, zoology, and business studies, among others, discussed the question how innovative entrepreneurship (in the Schumpeterian sense) can be facilitated by legal institutions and alternative institutional arrangements like, for instance, reputation systems. In my contribution, I presented the idea of a “legal lab” analogous, for instance, to the MIT’s media lab, which would be devoted to the study of innovations within the legal/regulatory system itself and would experiment with innovative institutional regimes (e.g. using virtual worlds such as Second Life as rich social environments). Together with my St. Gallen collaborators Herbert Burkert and Patrick Gruendler as well as with my colleagues and friends at the Berkman Center, John Palfrey and Colin Maclay, I’ve been working on this idea for some months, and I’m thrilled that several conference participants – including Judith Donath and Oliver Goodenough – will help us to work towards a project proposal in the weeks to come. In my formal presentation, I attempted to frame the main research topics at the heart of the law & entrepreneurship debate by offering an initial mental map, consisting of three related, but analytically distinct clusters of research. 1. The first cluster deals with a set of rather fundamental questions concerning the basic relationship between the legal system and entrepreneurship. Traditionally – and in the US in particular – law has been perceived as a constraint on behavior. Entrepreneurs, in contrast, are in the rule-breaking business. Entrepreneurship is very much about creative anarchy, as Deborah Spar eloquently described it, and from this angle law is usually perceived as an obstacle to innovation and entrepreneurship. However, a number of scholars – most prominently Viktor Mayer-Schoenberger in a recent paper – have demonstrated that the relation and interaction between the legal system and entrepreneurship is more complex. In my view, the relation is at least three-dimensional: (a) law can foster entrepreneurship innovation (e.g. by providing incentives for creativity = IPR), (b) it can be in a neutral relationship, or (c) may indeed hinder innovation (e.g. overly protective labor laws). Where law has a positive impact, it does so, as Mayer-Schoenberger argues, in its potential function as a leveler (e.g. lowering market entry barriers), protector (e.g. property rights, limitation of liability), or enforcer (esp. in case of contractual arrangements). 2. A second area of research seeks to gain a deeper, much more granular understanding of the interactions among the legal system, innovation, and entrepreneurship. Within this cluster, one might roughly distinguish between two research initiatives: First, there are attempts aimed at exploring the various elements of the legal ecosystem and its impact on entrepreneurship. Such attempts need to be sensitive to varying contexts, sectors, and cultures (e.g. interplay among the elements is different in ICT market vs. biotech sector; or picture may look very different when it comes to low-income vs. high-income countries). One example in this category is an earlier Berkman project on digital entrepreneurship that focused on low-income countries. Based on case studies of national innovation policies and successful entrepreneurial projects, we identified the relevant elements and aspects of the legal ecosystem and evaluate their influence on entrepreneurship. We clustered the elements in two basic categories: substantive areas of law and legal process issues. Our big-picture take-away: When it comes to the impact of law on entrepreneurship, much depends on the specific economic, societal, and cultural circumstances. The second debate with this research cluster relates to the different approaches and regulatory techniques that can be used by law – and their promises and limits when it comes to entrepreneurship. This includes research on different types and forms of regulation, such as direct vs. indirect regulation (e.g. regulation of capital markets); framework regulation, self-regulation, incentive-based regulation, command-and-control, etc. Cross-sectional challenges that occur when law seeks to regulate innovation and entrepreneurial activities, too, fall into this category, including questions such as justification of legal intervention (e.g. fostering economic growth, encouraging spillover effects), prioritization (good legislation as a scarce resource! ), timing, trade-offs (e.g. between innovation and risk prevention), how to ensure that the legal system can learn, etc. 3. The third cluster is less analytical and more design-oriented. Again, one can differentiate between two perspectives: One the one hand, how to optimize existing legal institutions to foster entrepreneurship. On the other hand, what are more radical innovations within the legal system itself aimed at facilitating innovative entrepreneurship? As far as the first aspect – optimization or improvements – is concerned, a number of law reform projects on both sides of the Atlantic are illustrative, all of which claim to facilitate entrepreneurship. Currently, the probably hottest topic is the reform of the patent system in the U.S. Several tax reform projects in Europe are also linked to entrepreneurship. In corporate law, the creation of exemptions for smaller companies – aimed at reducing the regulatory burden, esp. in areas such as accounting and reporting obligations – are further examples. (2) We don’t understand the entrepreneur’s calculus very well. Mayer-Schoenberger in the paper mentioned above has made this point: How important is predictability and legal certainty? How does risk evaluation really work in the case of innovative entreprneurs? How can law shape these processes? This research cluster is less about substantive areas of law rather than about key variables, such as “incentives”, “risks” and “flexibility”, which may be shaped by using different legal tools (ranging from safe harbor provisions to innovative licensing schemes). 4. Looking forward and in conclusion, I propose the building of an international network of researchers who work on the three clusters mentioned above. In a first step, it would be important to take stock and share existing findings based on which a shared research agenda can be developed. First, drafting a number of case studies based on which the interactions between legal institutions and entrepreneurship can be studied in greater detail, across different setting and cultures. Macro-level case studies on national legislative programs and policies (e.g. Singapore, Hong Kong) would be supplemented by micro-level case studies about successful entrepreneurs and their projects/firms/etc. Based on this research, the research network could second work towards a theory of law, innovation, and entrepreneurship, which would include both normative and analytical/methodological components. Third, the research network could establish a “legal lab” that deals with innovation within the legal system itself (see above). Virtual worlds like SL could be used for experiments with alternative institutional designs and to measure their impact on innovation in complex environments. While addressing specific quality issues, it’s important to consider the full range of possible approaches (“tools”) that are available. The role of market-based approaches (“pricing”, “incentives”) has already been explored in detail in the context of reputation systems. We also have a growing understanding about the social norms at work (research on online identity). As far as technology (“platform design”) is concerned, insights from social signaling theory might be a source of inspiration (e.g. conditions to foster honest signaling). Largely unexplored, by contrast, is the substantive (e.g. privacy) or procedural (e.g. due process) role that law may play in the context of a blended approach. Information quality conflicts can’t be avoided, only managed. Each “regulatory” approach mentioned before comes at costs and has inherent (factual and/or normative) limitations. A general limitation is the contextual and subjective nature of human information processing and decision-making processes (e.g. buying a digital camera) in which the quality of statements about quality (reputation) plays a role. The case of “teenagers” might be illustrative given our knowledge about the neurobiological state of development of brain areas (prefrontal cortex) involved in information selection, interpretation, and evaluation. But also cognitive biases of adults mark the limits on what can be achieved at the level of governance of reputation systems. John Palfrey and I are getting tremendously helpful feedback on the draft v.0.9 of our forthcoming book Born Digital (Basic Books, German translation with Hanser) from a number of great students at Harvard and St. Gallen Law School, respectively. Last week, John and I had an inspiring conversation about the current draft with our first readers on this side of the Atlantic: a small, but great and diverse group of law students here at www.unisg.ch. The students, coming from Switzerland, Germany, France, Singapore, and the U.S., were kind enough to share their feedback with us based on reaction papers they’ve drafted in response to assigned book chapters. Today, the second session took place. John and I are currently revisiting the final chapter of the book. The “final” chapter, of course, is by no means “final” – even not if it once becomes a chapter of the printed book. What we’re trying to do is simply to synthesize some of the things we’ve said so far, and to look ahead once again and ask ourselves how the digital world will look like for our kids given the things we know – and we don’t know – about their digital lives. In this spirit, the last chapter of the book in particular is an open invitation to join the discussion about the promises and challenges of the Internet for a population that is born digital. Against this backdrop, we prepared three discussion questions for today’s session here in St. Gallen. First, what do you think is the greatest opportunity for Digital Natives when it comes to digital technologies? Second, what are you most concerned about when thinking about the future of the Internet? Third, what approach – generically speaking – seems best suited to address the challenges you’ve identified? As always, we were running short in time, but hopefully we can continue our discussion online. Please join us, and check out our project wiki (new design, many thanks to Sarah! ), our new DN blog, or for instance our Facebook group. John, our terrific team, and I are much looking forward to continuing the debate!